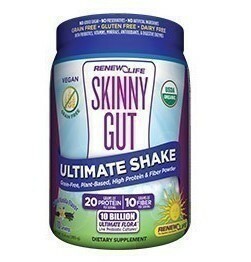 Last week, I told you about how I was planning to start using the Renew Life Skinny Gut Ultimate Shakes to help me to lose weight*. Today, I wanted to tell you my plan of exactly HOW I plan to use them. I’ve had the chance to try them out, plain, with nothing but liquid added to it. On the directions of each bottle, it says to add one scoop of shake mix with 10 oz of water or other liquid. I decided to go with almond milk, as a lot of the smoothie recipes that are attached to the package call for almond milk. First, I tried the chocolate. I really didn’t know what to expect. I’ve had chocolate shake mixes that didn’t taste very chocolatey at all….so much so that I had to add another scoop of cocoa to it. Not Skinny Gut shakes. The chocolate tastes great! It’s not chalky, nor is it too bitter. It’s the perfect blend of sweetness and chocolate. I love it! 2nd, I tried the vanilla shake. While I prefer chocolate because I’m a chocolate lover, it was equally as good of a product in taste and I have nothing negative to say about it all. It tasted great! I love how each shake mix does not leave an aftertaste or funky feeling in my mouth. It is smooth and pleasing to my taste buds! 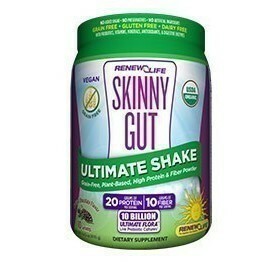 Definitely a win for Renew Life Skinny Gut Ultimate Shakes! It’s no secret that I really, really struggle with eating healthy foods consistently. Using these shakes is one way that I will be able to make better decisions regarding food. If I only have one meal a day to think about food with, my calorie intake will be lower and my overall health will be better. Make them as a smoothie on a regular basis, changing up the flavors for variety. Plan good snacks each day so that I still feel like I’ve had something to chew on and so I’m not tempted to cheat during the hard times. 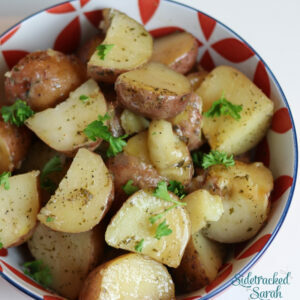 Eat a sensible dinner, that is low in carbs and sugar and high in protein and fiber. Exercise daily, building muscle that will eat my fat away. Reduce sugar consumption all together. See how others are using Skinny Gut Shakes! Use hashtag #SkinnyGutShake on Facebook and Twitter. If you’re also on a weight loss journey, join me in my new weight loss group on Facebook: Sidetracked by Weight Loss. just ordered my first container. I hope this helps toward weight loss. I am so tired of being over 200 pounds. My hubby and I are trying to get healthy weights and try for another baby. I just don’t want to be over weight and pregnant. I was like last baby and had a lot of complications like hypertension, swelling, and preeclampsia. thanks for sharing. good luck to you.